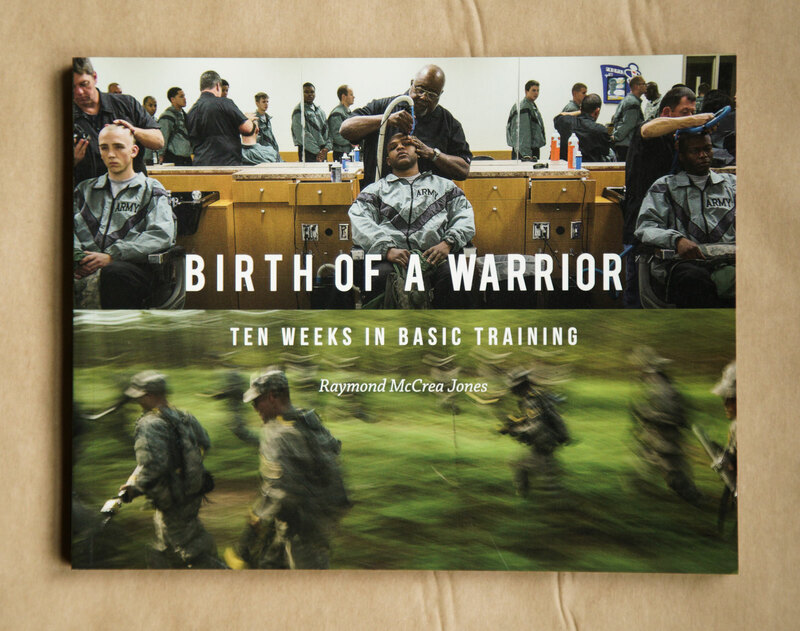 "Birth of a Warrior: Ten Weeks in Basic Training" is the second monograph by Raymond McCrea Jones. It was published by University Press of New England imprint ForeEdge in September 2015. From the publisher: “The stunning photographs in "Birth of a Warrior" chronicles the transformation of 162 young men from across the country into U.S. Army Delta Company 2/47. From four in the morning until late at night, through arrival, processing, outfitting, marching, inspection, drill, physical training, combat training, and live-fire exercises, Jones documents an astonishing metamorphosis. Granted unprecedented access to the lives of these recruits and the NCOs responsible for their basic training, he photographs everything from their first haircuts to the tossing of their caps at graduation. "Birth of a Warrior" is both their story and our story: a profound look at the culture and humanity of those who go off to war.” Recent press: School of Visual Arts lecture NPR: WUNC NPR: WABE Politico Mashable Atlanta Celebrates Photography Arts ATL You can order the book at any one of the following locations: UPNE, Amazon or Indie Bound.